B.S. in Journalism, 1961. M.A. in Radio & Television, 1966. The man who hired Oprah to host a talk show in Chicago, persuaded the International Olympic Committee to stagger the summer and winter Olympics every two years, paired Kathie Lee Gifford with Regis Philbin, put formal all-pro receiver Lynn Swann and former all-star second baseman Joe Morgan on the air credits his mentors — at the University and in the Marine Corps — with his success. Swanson worked in radio and TV in Cedar Rapids, Iowa, before heading to Chicago and to jobs at WGN and then NBC News and NBC’s WMAQ. 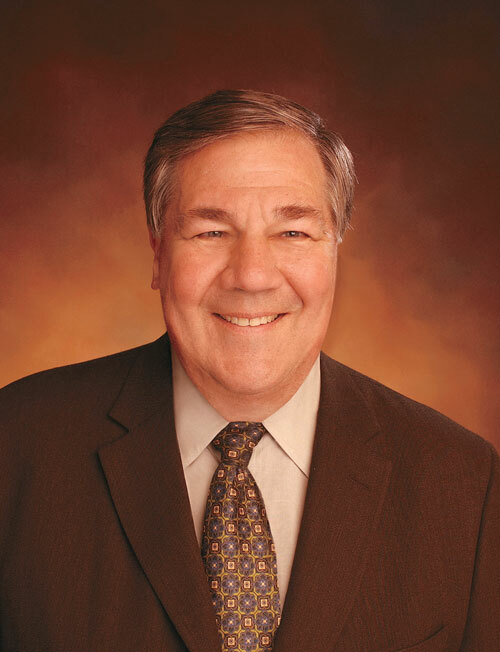 After working on NBC’s short-lived Television News Inc., he became executive producer of local news at KABC in Los Angeles in 1976 and went on to news director and station manager before heading back to Chicago to give WLS a boost by creating the Oprah Winfrey show. He went to ABC sports in 1986 and served as president through 1996. In addition to his Olympic coup, he revitalized ABC’s Monday Night Football programming and ran Daytime and Children’s Programming from 1991-93. In 1996, he switched networks to run NBC’s flagship WNBC in New York but “retired” from that job in 2002. After which, he quickly joined Viacom as executive vice president and chief operating officer, where he oversaw operations of the division’s television stations. In October 2005, Swanson was named president of station operations for the FOX Television Stations Group. Swanson is managing the 35 FOX owned-and-operated stations across the country. Also in 2005, he was inducted into the Broadcasting & Cable Hall of Fame. This bio was written at the time of Dennis Swanson’s inauguration into the 2006 Illini Media Hall of Fame.